Ever wonder how some people go through devastatingly hard times, only to bounce back better than ever? In these remarkable, confessional conversations between beloved “Good Morning America” anchor Robin Roberts and her fascinating guests, discover how others find unexpected inner strength in the aftermath of adversity. Powered by Robin’s compassion and sense of humor, Everybody’s Got Something inspires all of us to face our “somethings,” and believe in the power of resilience. 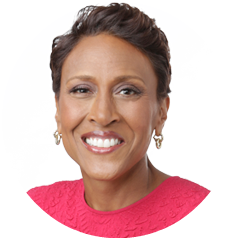 Robin Roberts is co-anchor of ABC’s “Good Morning America.” Under her leadership, the broadcast has won four Emmy Awards for Outstanding Morning Program and the 2017 People’s Choice Award for Favorite Daytime TV Hosting Team.